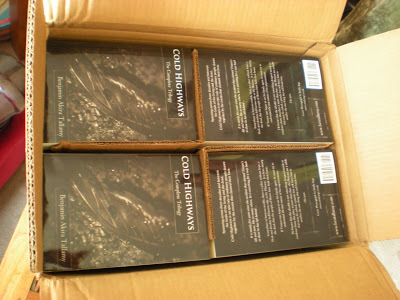 Copies of my first novels, The Cold Highways Trilogy have turned up today. 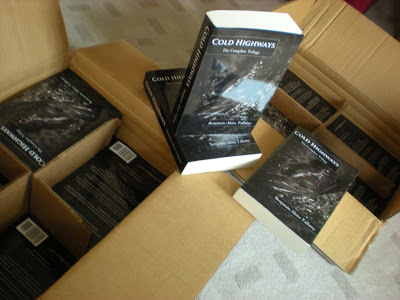 It’s quite exciting unpacking a big box full of your own work, though it has taken a while to get this far and it’s still a long way from a career. 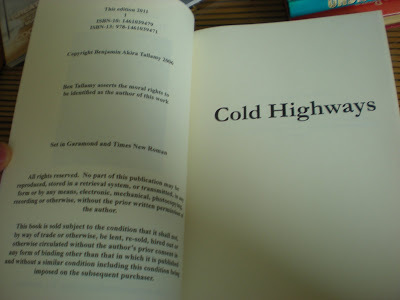 It’s also strange as I’m nearly at the end of my newest novel and I feel I’ve come a long long way from the kind of writer I was when obsessing over those books. 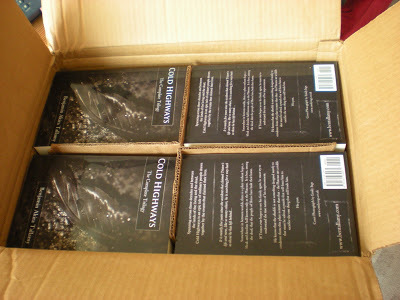 Anyhow, to preserve the memory, here are a few pictures of the unpacking. 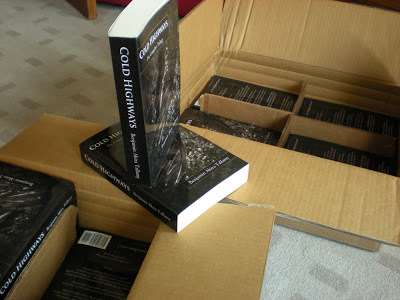 Cold Highways is available from most online book retailers.